It has been a full and wonderful day. In Harrogate I watched the dawn light fill my attic window. In Leeds the meditation group welcomed me to their meeting. Then hours later waved me off into the still light afternoon. As the light faded red tail-lights ribboned into the sky as I crossed the Pennines. Preston this evening with presents exchanged. All glitter and celebration. Always a pleasure to visit my cousin and family. I can’t help but reflect now on this action packed, people packed day and wonder at the marvel of it all. And to remember the elderly women seen yesterday in her failing and faltering. Wanting it overwith. The marvel is the spark of her which ever remains. For those who see no light left. 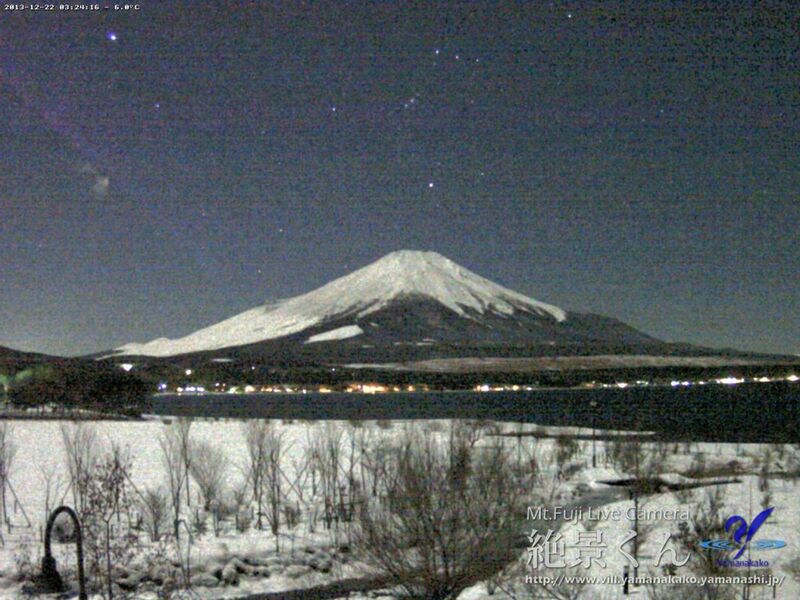 Here an image of Mt Fuji from a webcam sent me via email. Oh goodness! This little story, Leave-Taking, has all the pathos I can handle at this moment. Calling to those one loves as their back, or the tail lights of their car disappear around a corner brings those parting times right to the fore. I so wanted the story to end with the man taking the bird back home…. Be prepared to have your heart-strings played with just a little. And it is a time for heart-strings to be played during this period of the year. I hope the tone and pitch and tunefulness is pleasing to your being. And the same for all those, family and friends and acquaintances, you come into contact with. 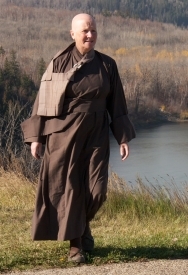 I’ll be spending some time in the monastery up to the turning of the year. A visit I always look forward to and the tune is always good. Thanks to Julius for the link. Well timed. Here is one of the most beautiful all year round camping/meditation pods. 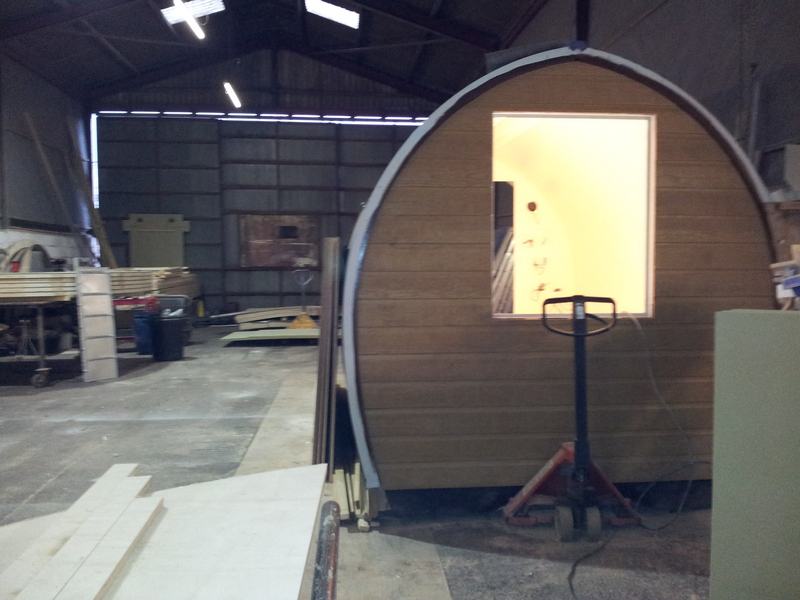 I could base myself in one of these Basecamp Pods. 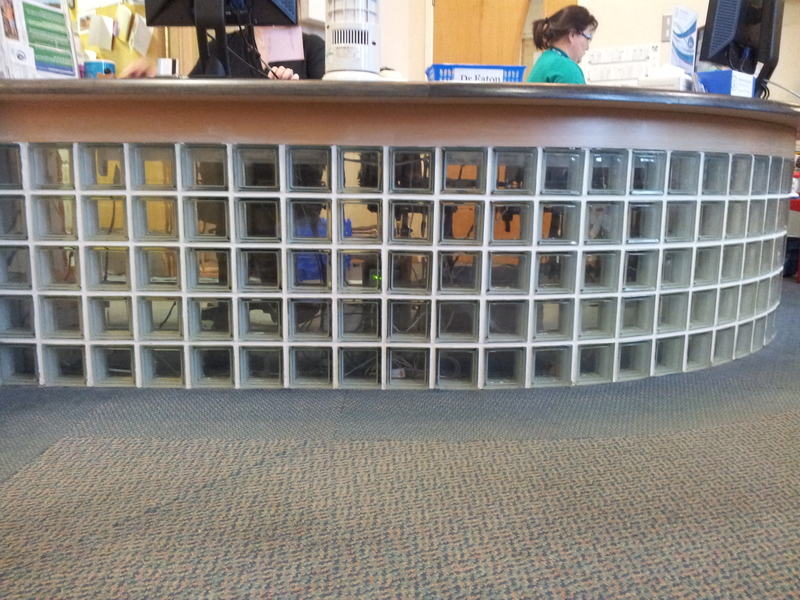 This post is for a friend and for all those who have to sit in waiting rooms for hours and hours. Crowds walking, talking and some singing. Carols on Euston Station. Some laughing, pulling luggage, pushing wheelchairs and everywhere the phone. What stays with me from the last 24 hours being on the road is a small boy in an all bells and whistles wheelchair. His mother so up-beat as she wheeled him onto a bus with two more children in tow. Likely that child will become a man – in a full sized wheelchair. In it for as long as life lasts. And then there was the man in the wheelchair waiting to be assisted onto a train via a ramp. Silently stressed yet still prepared to travel, with assistance. Mobility, being able to move about freely on foot and on wheels as I have been able to do causes me to ponder. In gratitude. And in sympathy for those who can’t and may never leave their wheels. Some photographs in London. Post written on the train heading north. Uploaded via email from a phone….